Guarantee is a bank obligation to fully or partially pay the amount of money to the beneficiary of the guarantee upon receipt of payment demand and other documents specified in guarantee if the company the bank guarantees for fails to fulfill their obligations or fulfils them improperly. Bank guarantees demonstrates financial stability of the company. Bank guarantees secures company‘s payment and contractual obligations. Bank guarantees is independent from the underlying contract and payable upon guarantee beneficiary‘s demand for payment. New! 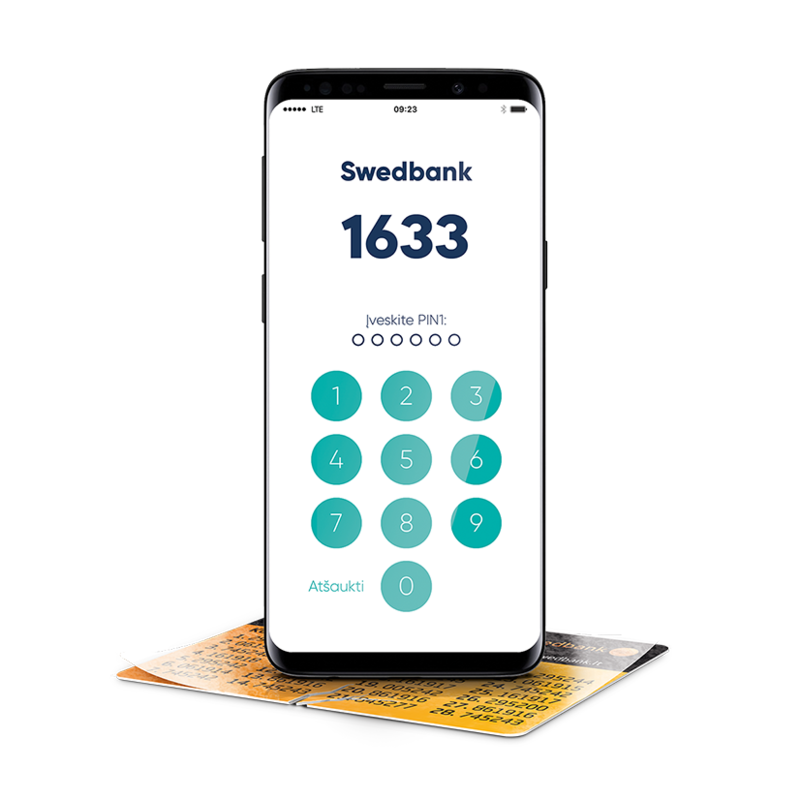 „Swedbank“, AB may issue bank guarantee remotely. Customers using internet bank for business have possibility to present guarantee application and sign guarantee agreement remotely using e-signature. According to customers request, bank will forward issued guarantee signed by e-signature to email address provided by the customer. Other guarantee types: guarantee for warranty obligations, loan repayment guarantee. Guarantee may be issued to the company upon depositing company’s funds in a special account or using credit line/loan granted to the company. Credit line/loan may be granted upon pledging immovable and movable property (land, buildings, etc.). Land, buildings and other immovable property pledged must be evaluated by independent property assessors acceptable to the bank. Pledged property (except land) must be insured. * If the guarantee issue is not secured by cash collateral, the obligation under the guarantee commission shall be applicable. Cash collateral is not interest bearing. If the guarantee is issued in a non-standard text or in the foreign language, an extra fee could be charged if agreed. ** Urgent guarantees or guarantee amendments are issued within one working day after the signed and correctly filled in application is presented at the bank counters and all other guarantee issuance or guarantee amendment conditions are fulfilled. *** If the guarantee is issued / advised, the fees applicable to documentary payments and guarantees under the clause "Guarantees" will be decreased by this fee. What documents have to be presented to the Bank for guarantee issuance? Signed application to issue bank guarantee. Guarantee applications form you can find here. Submit pledge acceptable to the bank – cash deposit or other acceptable pledge (real estate, equipment ect.). Customer has to pay guarantee issuance fee. Guarantee issuance fees. How long does it take to issue bank guarantee? Bank issues guarantee within 2 working days after filled in and duly signed application is submitted to the bank, financial pledge is provided and guarantee issuance fee is paid. Parties of the transaction agree on using a bank guarantee in order to secure the performance of respective contractual obligations. Applicant asks his bank to issue bank guarantee. Guarantee is being issued and forwarded to the beneficiary: 1) in paper form, 2) in electronic form through the beneficiary‘s bank. In case respective contractual obligations are breached, beneficary claims payment under the guarantee from guarantee issuing bank and bank pays out claimed amount to the guarantee beneficiary. In case all contractual obligations are fulfilled until guarantee expiry date, issued guarantee expires unutilized. When replying to queries submitted in this form, we will be able to provide only general information about bank guarantees. If you have any questions related to financial information of your company, please login to the internet bank or contact us by phone 1633. If calling from abroad, please call +370 5 268 4422. We will reply to your questions from 8 a.m. to 6 p.m. on business days. If you need urgent information, please call us by phone 1633. If calling from abroad, please call +370 5 268 4422. To the applicant of the guarantee – that the recipient of guarantee shall unreasonably present payment demand under the guarantee. To the beneficiary of the guarantee – bank’s obligation according to guarantee is reliable to the extent the bank issuing the guarantee is reliable and risk free. Bank guarantee is of first demand and the bank does not analyse client’s disputes with the beneficiary of the guarantee arising because of failure to fulfil guaranteed obligations – bank shall pay according to guarantee upon receipt of first payment demand presented by the beneficiary of the guarantee complying with guarantee conditions, and the client must immediately pay the amount paid by the bank; if the client deposits funds for issuing of guarantee – bank shall pay according to guarantee from deposited funds upon receipt of first payment demand by the recipient of guarantee complying with conditions of guarantee. Improper execution of financial obligations shall raise the cost of borrowing and may adversely affect your credit history, if the agreement is terminated because of material breach by you, an enforced recovery may be initiated and you may lose property rights to pledged property.